Have you ever wondered why people go boat fishing, or how to try it for yourself? 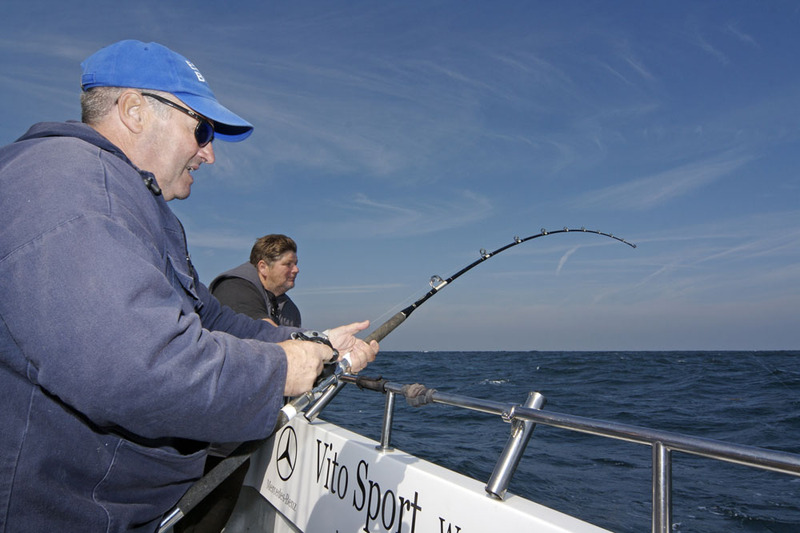 Dave Barham explains how to go about enjoying a day’s fishing afloat. Fishing is a hugely popular pastime in the UK, and it takes on many forms. For some it's about sitting on a river bank, at the other extreme deep sea fishermen make their living far from land. Somewhere in between, there are plenty of people drawn to fishing from boats. Boat fishing is not all about the fishing, it’s about being on the sea and enjoying a day’s boating at the same time (see: Fishing boats: a buyer’s guide). For many of us in the UK, it's the thrill of riding the ocean waves that's hard to beat. Of all the elements that make up a good day afloat, quite often a good catch comes some way down the list. For me, being on a fishing boat, whether it does 5 knots or 50, is all about the sound of the engines and waves, the smell of the exhaust fumes mixed with the fresh salty air, and the voyage into the unknown. It's the anticipation of what the day may hold in store – no two days are ever the same (see: Fishing luck: 3 unusual ways to improve your catch). It’s not all about super fast boats, but you can’t beat the thrill of doing 40-knots on big boat! Then of course there is the fishing itself. Playing a fish under your feet is a completely different sensation to that of playing a fish some 150 yards out in front of you from the beach. Plus, if one spot isn’t producing, you can fire up the engine and move a couple of miles to new fishing grounds in a matter of minutes, so you can cover much more ground and in theory search out more fish. Whether you’ve caught the boat-fishing bug during a short trip in a friend’s private boat, or enjoyed your first day on a charter boat, chances are that you’re probably hooked for life. If you’ve never been fishing on a boat before, but have thought about giving it a go, then keep on reading – it’s really not hard to get out and not nearly as daunting a task as you might imagine. Fishing at anchor can be as hectic or as laid back as you want it to be. If you already own a boat, but you’ve never fished before my first piece of advice would be to forget fishing from your own vessel for the first time. Book yourself onto a proper charter boat and have a day with other anglers and an experienced skipper to see what it’s all about. The average price for a day out with everything included is about £50. There are 400 or so licenced charter boats in the UK, offering every conceivable type of boat fishing trips you can imagine, from custom days where you dictate what you want to do as well as enjoying a three-course meal onboard, to four-hour mackerel trips or ‘taster’ sessions where adults can take their kids out for just a few hours. Basically, there’s something out there for everyone. Don’t be afraid of making yourself look ‘silly’, either. I’ve been boat fishing for nearly 40 years and I quite often make a fool of myself. You’ll find great camaraderie and friendship in the world of boat fishing, and the man (or lady) next door will always be forthcoming with help, as will any decent charter skipper – that’s what you’re paying for. Most boats have tackle that you can hire, so you don’t even need your own kit to begin with. The late Chris Caines (Tiger Lily, Weymouth) was one of the UK’s most respected skippers, and there are plenty more of his ilk around. It’s a lot different sitting at anchor in a beam-on swell than powering through the waves all day. If you convince yourself that you’re going to be seasick in the days leading up to your trip, the chances are you will be, even if it’s flat calm. Convince yourself that you’re going to be fine, and nine times out of ten you’ll be just that. A few hard and fast rules will help minimise the risk even further. Don’t go out on the beer the night before. Try to ensure that you get a good couple of night’s sleep before the big day (tiredness is one of the main causes of seasickness), and try to eat something before you get on board. It is known that some people just aren’t meant to be on boats, and they suffer terribly with seasickness – but it is quite rare. With this in mind, if you’re really not sure about how you will feel on board a boat then make your first trip a ‘taster’ session. During the summer months you will find that a lot of charter boats will offer four-hour evening sessions, and this is the perfect opportunity to find your sea legs. You can search out a boat near to you by looking at the classified adverts in the back of fishing magazines, or by going online and checking out the many dedicated charter boat pages. A good place to start is: Charterboats UK. You never really know what’s going to be on the end of your line – which is what makes it all the more exciting. 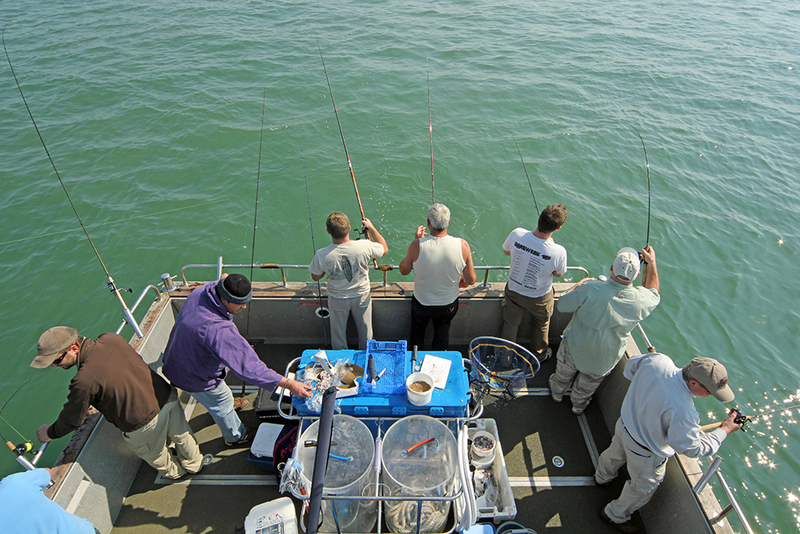 Once you’ve decided that boat fishing is something you want to get into, it’s a good idea to join an angling club. This doesn’t have to be a club in your hometown, it can be a club miles away, but somewhere that you intend to concentrate your fishing efforts from. The main reason for joining a club is meeting new fishing friends and drawing on their experience. Plus you could get invited on some truly amazing days afloat, during peak times and tides – a lot of clubs will book various charter boats at the start of the year for one trip a month. You will probably find that some club members have their own boats, and if you get to know them you may be invited out for a day’s fishing there as well. If you search the Internet, especially Facebook, you will find a whole host of sea fishing club pages where you can interact and meet new fishing buddies. 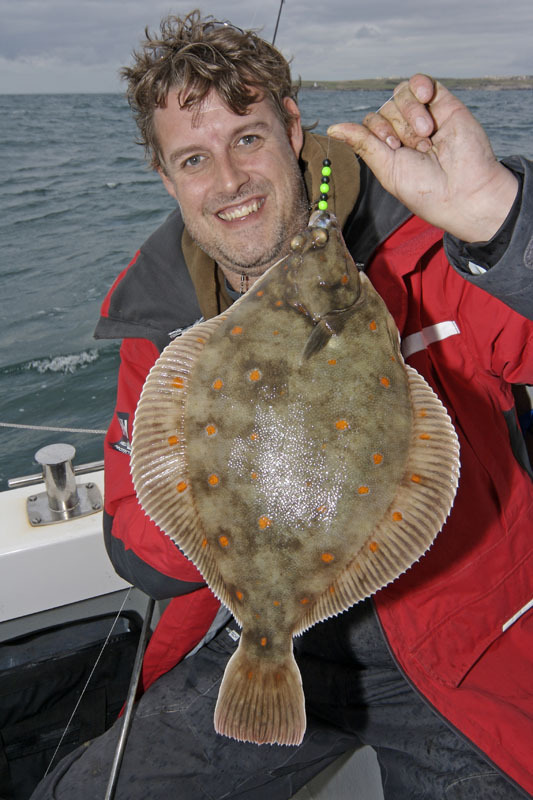 One of Dave's favourite species to target is plaice. There are so many different types of boat fishing available that it’s hard to cover everything in one go. For the most part, I prefer to fish for the table. By this I mean that when given the opportunity to fish for the species that my family and I like to eat, rather than a day’s sport fishing, I’ll often go for the former. There’s something magical about catching, cleaning, cooking and eating a fresh mackerel, plaice, bass or turbot. Just to whet your appetite, here are a few of my favourite types of boat fishing adventures. 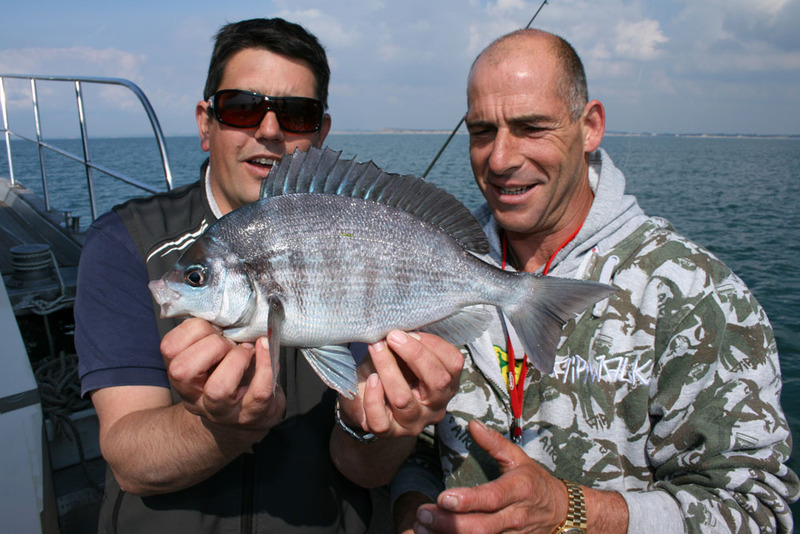 Black bream are a popular target on light tackle during the summer. Both of the main types of fishing in the UK, the uptiding and downtiding methods, are done at anchor. This is one of the most relaxing forms of sea fishing there is. You literally just sit there, enjoying the scenery and banter from the other anglers on board, watching your rod tips for signs of a bite. The moments of near comatose, self-induced hypnosis are broken by moments of heart-pumping, adrenaline-fuelled action as you do battle with a thornback ray, or double-figure bass! Pretty much every species of sea fish can be caught at anchor, and that's what the bulk of UK boat fishing is all about. I love the summer months, they open up a world of fishing possibilities. When it comes to bass fishing, I like nothing more than hopping on board a small boat at 4am and fishing surface lures for bass close to the shore. But there are plenty more ways to catch summer bass! You can fish live mackerel or sandeels over shallow water reefs, wrecks and sandbanks, or you can work lures in 100ft of water over similar underwater features. 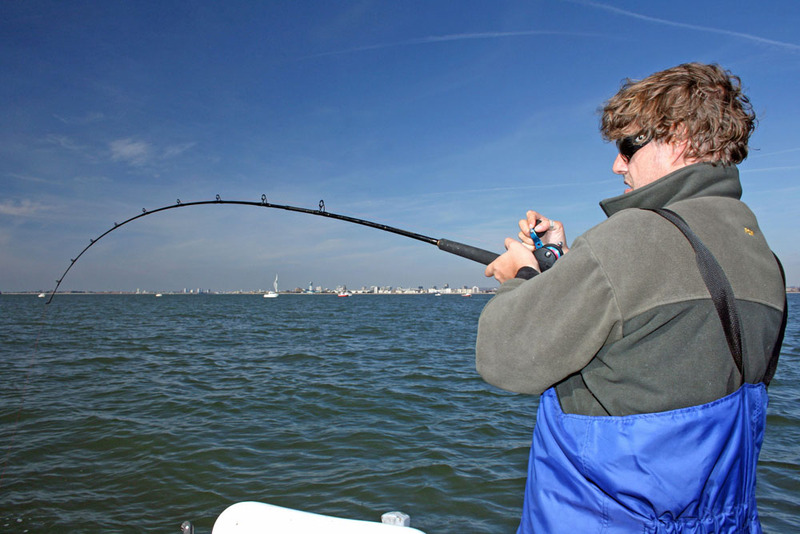 Trolling lures behind your boat can also be very productive. You can fish fresh peeler crab baits at anchor, or head-hooked ragworm, whole squid, mackerel head and guts and the like. How about floatfishing with live prawns? The list goes on, but all of these methods are employed from boats the length and breadth of the country during the bass fishing season. Tope will give you the adrenaline rush that you become addicted to. 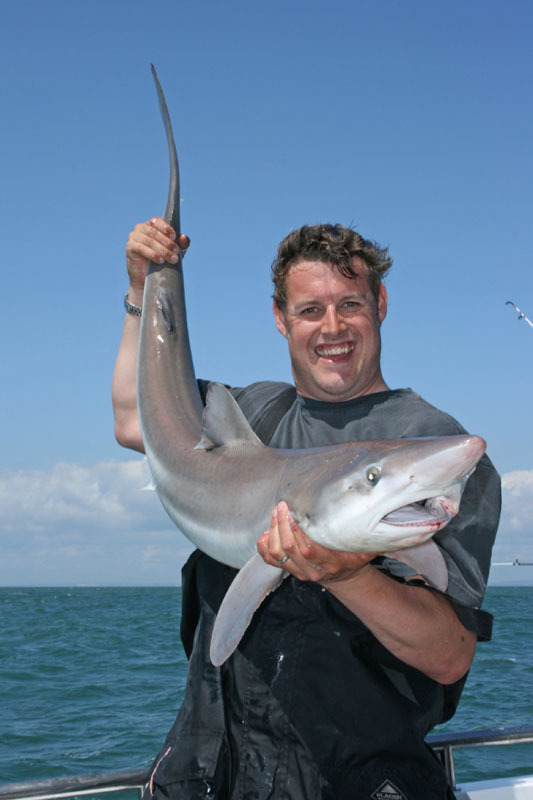 During the summer we have access to some truly amazing rod-bending sport with tope and smoothhounds. These two species are often found together or in very close proximity to one another, and there are various ways in which you can catch them. For instance you can target smoothhounds with spinning rods and 2oz leads with crabs, or you can target the tope on 20lb-class tackle with circle hooks and small baits – both providing heart-stopping runs as yard upon yard of line is torn from your reel during the epic fights. Fishing lures over wrecks for cod, pollack and ling on the drift is extremely popular in the UK, and rightly so. Nothing beats the thrill of slowly winding in a lure, only to have the rod nearly torn from your hands as a fish grabs the lure out of the blue and heads back to the safety of the wreck. All the while trying not to lose your precious lures into the tackle graveyard of the wreck below. This adrenaline injection has to be experienced to be understood! Then there’s the challenging method of fishing a wreck at anchor for conger eels and ling. Often carried out in depths between 100 and 200ft, this style of fishing really gets your muscles pumped, and yet again it’s the thoughts of the unknown that makes these days so special. Another of my favourite types of summer fishing is drift fishing for turbot, brill and plaice. There’s something about catching one of these species on the drift that gives a euphoric sense of achievement. It’s by no means an easy task to catch flatfish consistently, and it’s something of an art form, but when you get into the zone and begin catching you’ll understand the feeling that I’m talking about here. Night fishing for conger eels will make a man of you! 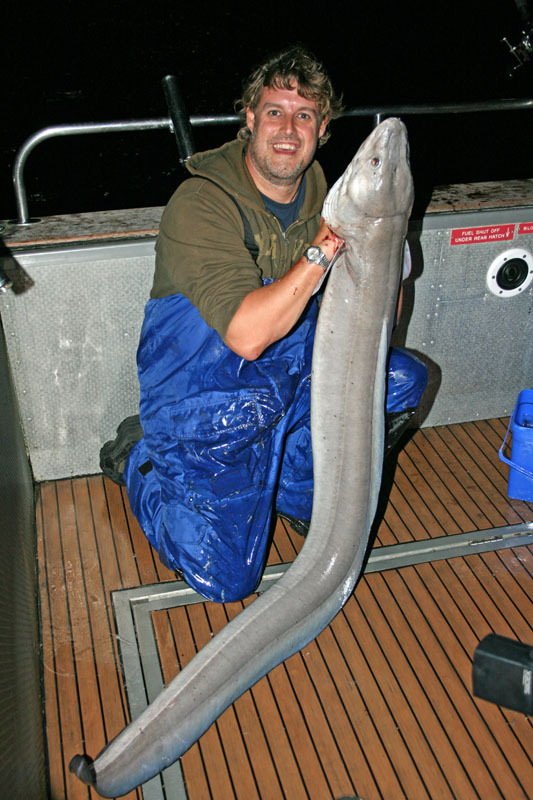 There are of course some true monsters of the deep that lurk in UK waters, from 100lb+ conger eels to 200lb+ common skate, and of course porbeagle, blue, thresher and mako sharks! There are boats and skippers that specialise in these species, and if you persevere it’s really not that hard to catch your first big conger, skate, porbeagle or blue shark – the thresher and mako will take some doing though! 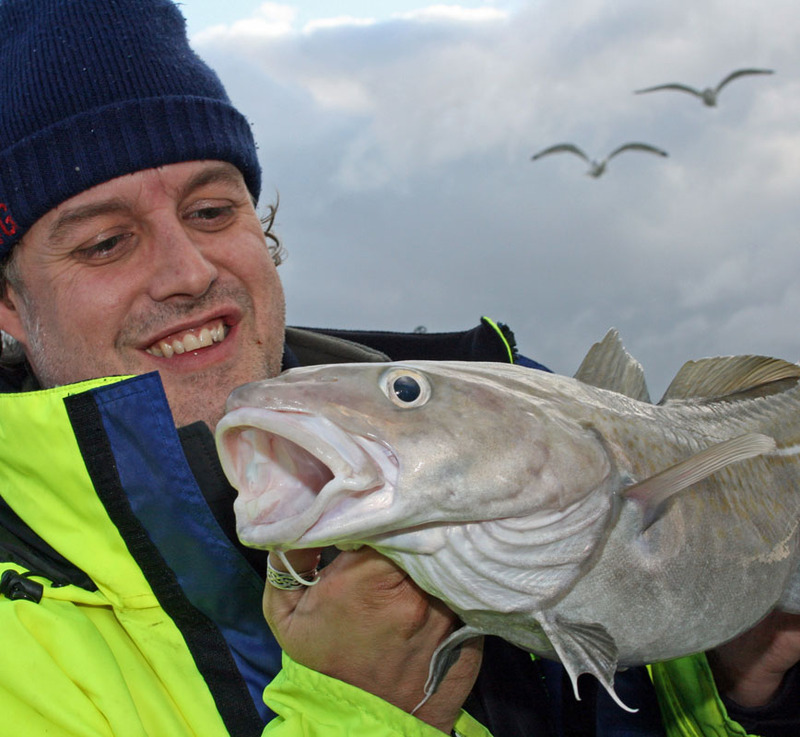 Winter cod fishing – just wrap up warm. Fishing for big winter cod and whiting isn’t everybody’s cup of tea, but for many it’s the highlight of the boat fishing year. Sitting on a boat in the freezing cold, when you can only just feel your fingers as you bait up, can be rewarded with the cod of a lifetime if you put in the hours. If you can stay warm, it’s a most enjoyable day out. Then there is the winter bass and pollack fishing, which is usually done on the drift. Similar to the summer sport, this is the time of year when you stand the best chance of hooking into something really special, with double figure bass and 20lb+ pollack on the cards. Read more about the main UK fish types here. I hope this piece has given you some insight into what boat fishing is all about in the UK, and what types of fishing and trips are available. For more fishing inspiration, check out: How to take your kids fishing: 5 top tips and our guide to the UK's main fish types. 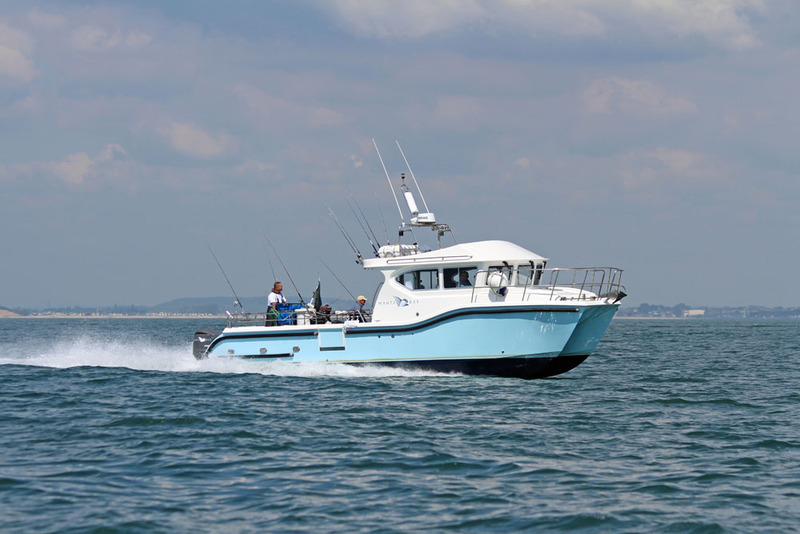 For more advice on choosing a fishing boat, read Dave Barham's guide to fishing boats, Alex's Smith's tips on picking the perfect boat for fishing and our Powerboat buying guide. Also take a look at Sports fishers: five top fishing boats.